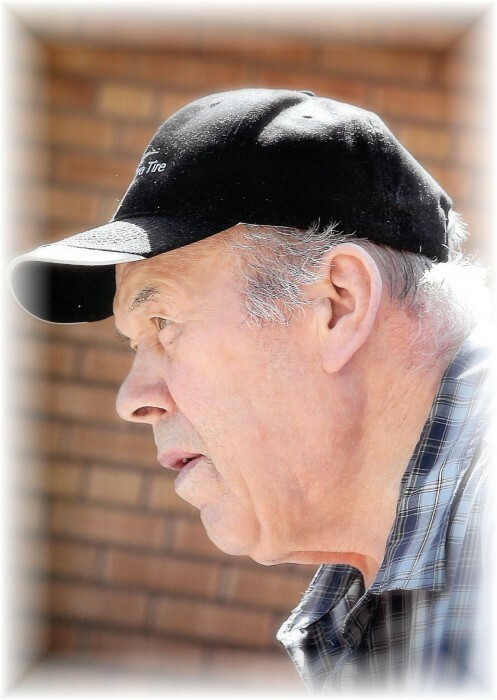 It is with great sadness that we announce the passing of Bill Burkowsky of Melville, SK and formerly of Pelly, SK who passed away peacefully on April 12, 2019, at the St Paul’s Lutheran Care Home in Melville,SK at the age of 88 years. Bill was born near Chamberlain, SK, one of three children to Peter and Anna (Skraba) Burkowsky. They farmed there until the drought of the dirty 30’s forced them to leave and seek better land in Poplar Bluff, (Near Arran, Sk.) Bill attended Evadale and Olson schools growing up. Bill worked (along with farming) in Sudbury, Ont. in the Nickel Mine and also picked Tobacco. Bill married Doris (Holinaty) on November 20, 1954 in Arran, SK. They moved two miles down the road from the family farm, where they raised their two children Larry and Janet. They farmed until the early 70’s until Doris succumbed to cancer. Bill sold the farm and moved to Pelly where he worked at the local curling rink making ice for the winter season. He also worked at Duck Mountain Provincial Park looking after the golf greens for ten years. Bill enjoyed planting, not one but 2 gardens and enjoyed canning pickles, making borscht and beets with horseradish. Bill loved to share his garden harvest with his children when he came to Regina. Some of his favourites were pizza and KFC. He enjoyed telling us stories of his past, especially the bears and the one that ate his lunch. He also loved playing the violin, guitar and accordion. He made many cassettes, probably a hundred or more for us to listen to and critique. He enjoyed golfing, fishing and hunting. Since 2011 Bill has been at St Paul’s Lutheran Care Home in Melville living with the challenges of Dementia where he was cared and looked after by the wonderful staff until his passing. Bill was predeceased by his parents; Peter and Anna, wife Doris, sister Nellie (Sapach) and brother Frank. Left to cherish and celebrate his life are his daughter Janet (Rob) Goodin, grandchildren Ryan (Rena) Goodin, great grandchildren Isabella and Lexi, grandchildren Chantel Goodin (Jordan), great grandchild Jace, grandchildren Chad (Courtney) Goodin. Son Larry (Jackie) Burkowsky, grandchildren Laura Burkowsky, Riley (Tessa) Burkowsky and step grandchild Jon (Richard) Duffey. Bill has requested a small private funeral, with his final resting place being Riverview Cemetery in Kamsack, SK. If friend's so desire donation's in Williams memory may be made to a charity of ones choice.